Food Well Alliance’s latest Working Table gathered during a February 10 meeting to prioritize strategic opportunities to scale community-based composting in the city. Based on the key challenges the members identified in the previous meeting - such as contamination, land access and regulatory uncertainty - leaders collaborated to define solutions to these challenges. The solutions included leveraging the expertise of key local food movement stakeholders to develop a best practices guide for compost generators, who are organizations that produce the organic material needed to make compost. Other solutions addressed compost generators creating a training program with a certification requirement and creating possible state and local tax incentives. 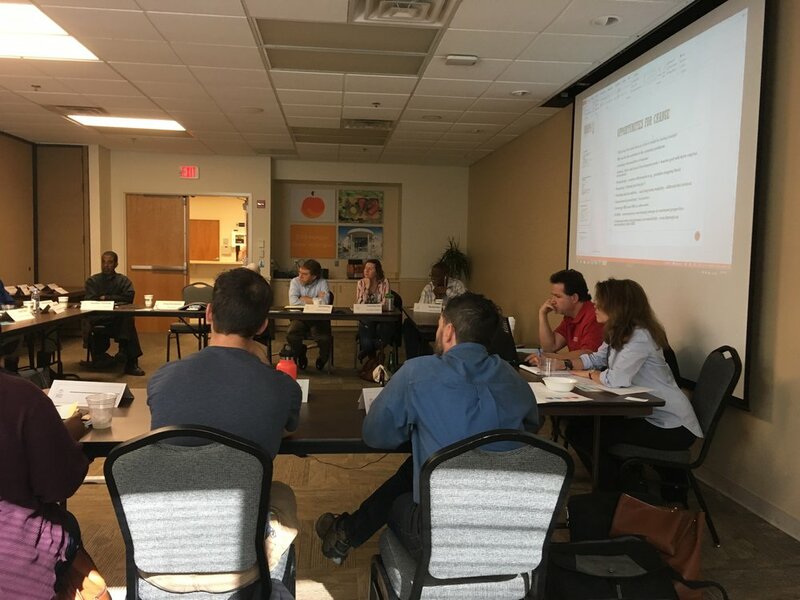 The group’s next convening will be the Community-Based Composting Working Table’s final meeting where they will make strategic recommendations for scaling community-based composting in Metro Atlanta.. Check back here for the Community-Based Composting Strategic Recommendations.